A few months back I had my first Profhilo treatment at Hampton Clinic. Profhilo is an injectable anti-aging treatment to help boost skin hydration and improve skin elasticity. It can be used for the face, neck, chest and I think maybe hands too. 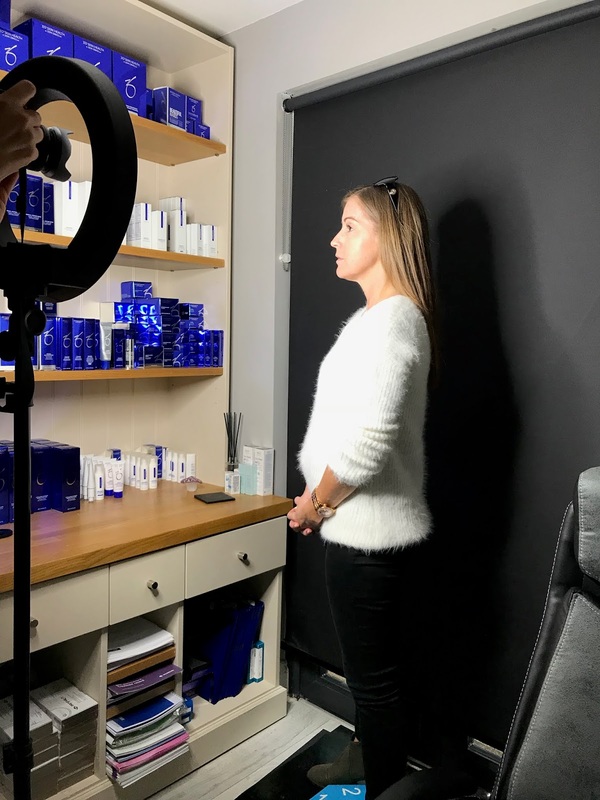 Hyaluronic acid is injected at key points on the selected treatment area to help with skin laxity, and hydration, it also helps to trigger your natural collagen. 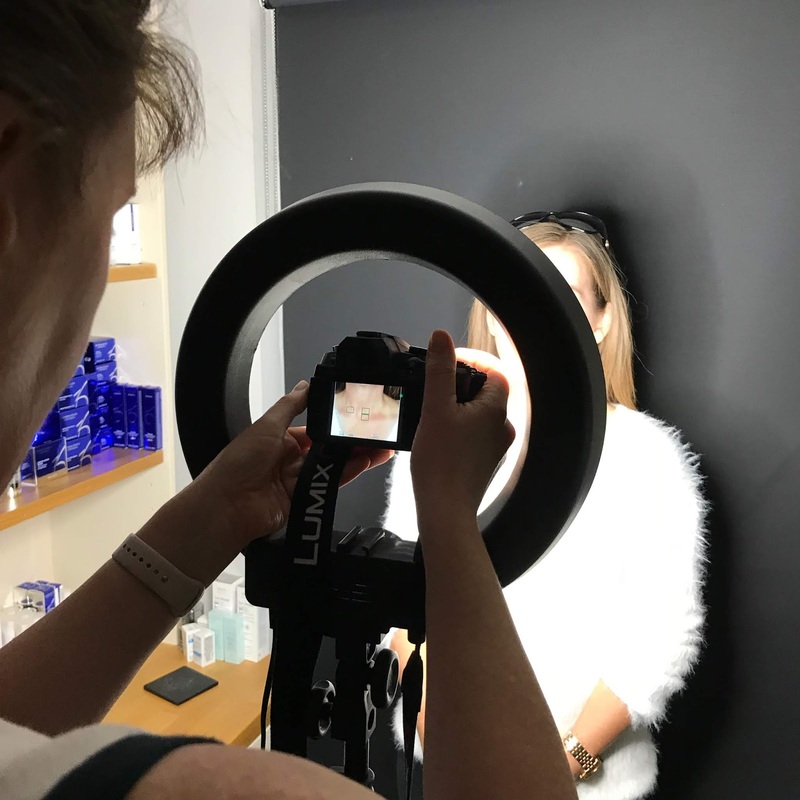 Hyaluronic acid is a natural substance found in the body that helps retain moisture and aid collagen production but as we age that production slows down resulting in tired, dehydrated, lacklustre skin with lines and wrinkles!!! Sorry but it's true. Now I'm going to try and explain this in my own words, in the best way I possibly can. Most dermal fillers are made from hyaluronic acid but Profhilo is not a filler, more of a hydrator. Dermal fillers are used to add volume in areas, and have what Dr Hill described as cross links. 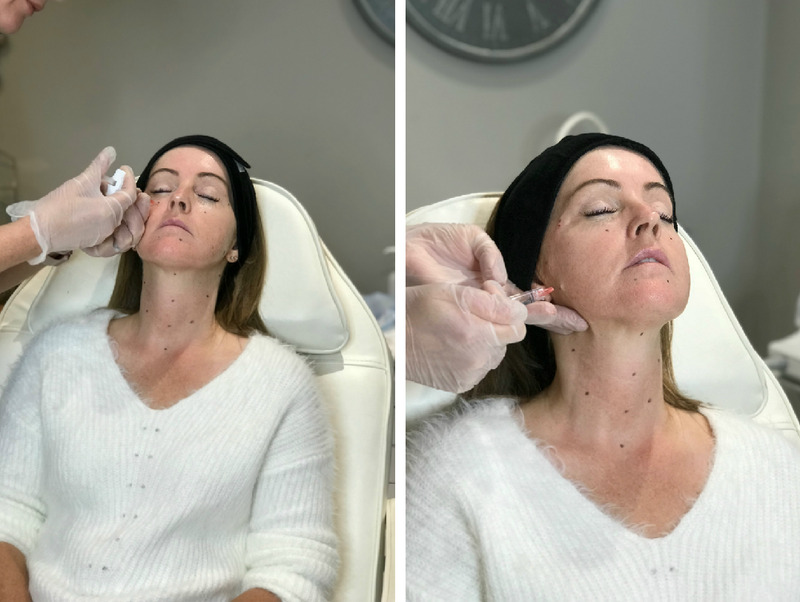 These cross links stay put under the skin and the filler will remain in the area where it has been injected giving the required volume. The hyaluronic acid in Profhilo however has no cross links so it disperses under the surface of the skin, spreads and provides hydration. It's like a slow release HA. Two sessions are required four weeks apart. 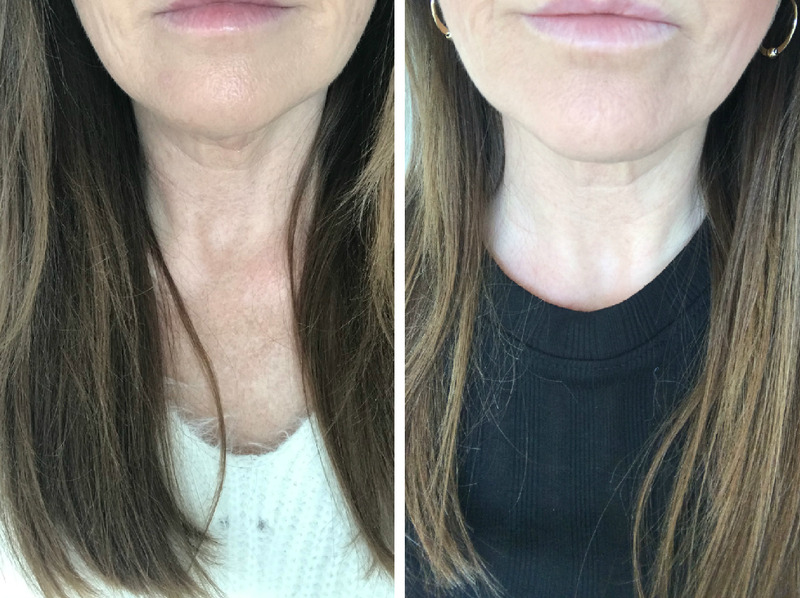 You'll see some visible results shortly after your first treatment, increased hydration and improvement in the lines and wrinkles but it's after the second one that you'll notice more improvement, at around about the 8 week mark, with lifting and firming of the skin. So, let's move on to me having the treatment. I had my face and my neck treated by the wonderful Dr Hill. Laying myself bare here as I have no make up on (apart from mascara) and you can see the lines and my old lady sagging turkey neck in the 'close up' photo below. I'm going to tell you right here, right now that I hate my neck! And my eyes. Oh and my skin texture. Skin texture has been the bane of my life...arghhh!! I can hear some of you saying now "embrace the changes as you get older" but I don't want to. Each to their own. I don't want to look younger, I don't want any fillers to change the way I look, I don't want to look different, just better, fresher. I recently lost a stone in weight and it's had a huge impact on my face and neck, it all seems to have dropped overnight, and let's face it (pardon the pun) when you're touching 50 it just doesn't bounce back!!! Let's just ignore the pigmentation/sun damage on my chest and neck shall we?! I had just been on holiday - yes, I did wear SPF. Always. Dr Hill had warned me that the injections would be a little 'stingy' but nothing too painful and that the ones on the neck would be a little more uncomfortable than the face. 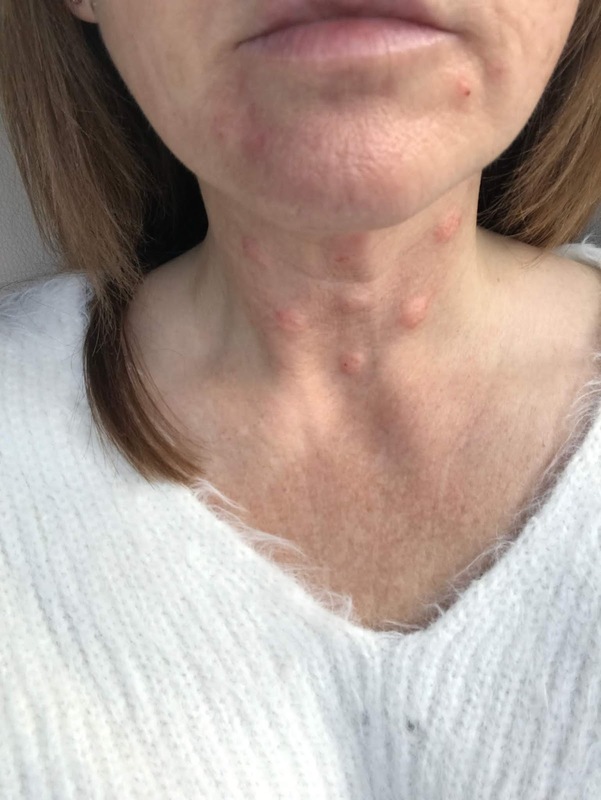 This was not the case for me, I found it to be the other way round, I felt the ones on my face more than the ones on my neck. 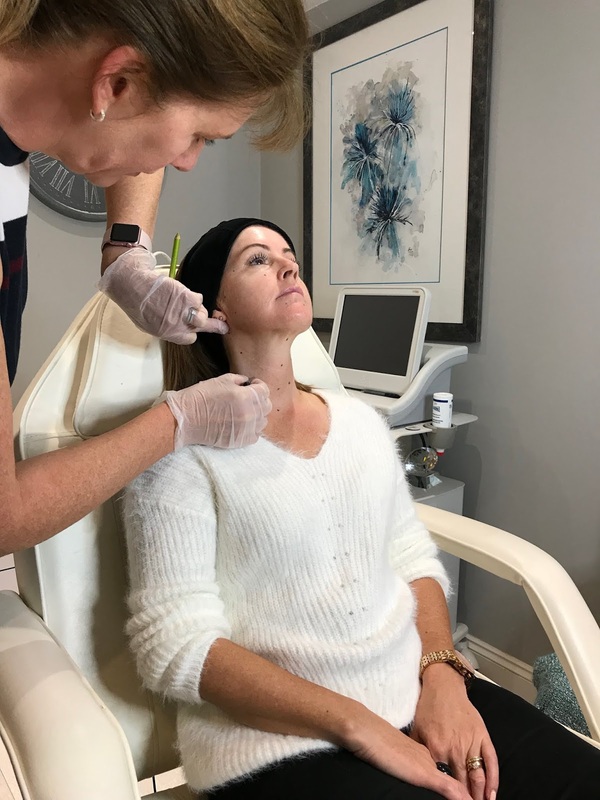 Yes, it's stingy and makes your toes curl a tiny bit the odd time, but I tend to take my mind away to somewhere else whenever I'm having any type of treatment that causes discomfort, whether that be the dentist, doctors or beauty related! Oh, and deep breathing. I was told there would be some lumps at the injection sites, (nothing to worry about this is totally normal) and my neck in particular would look a bit like a Dr Who dalek. Not wrong there! The ones on my face went down quite quickly, within a few hours really, but the neck ones took about 24 hours. They say you can go straight back to work after the treatment as there's no down time at all but to be honest I definitely wouldn't. My skin is touch sensitive anyway and goes very red, even from a slight scratch, so I personally preferred to hide away. You can't wear make up either for 24 hours after and no one wants to see me without my face on. I had my first treatment towards the end of September and my second one at the end of October. You'll see some before and after photos below. The first, taken in September, are just after I'd got back from Spain so had a very slight tan and the second lot I took just last week, and am a lot paler. 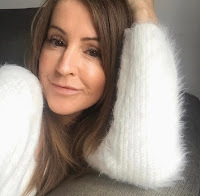 In those recent ones I do have a tiny bit of make up on and I tried my very best to get the same angles, although lighting is different as the first ones were in the clinic and second ones at home. I noticed the difference in my face first, it's glowing, looks more hydrated and my make up looks more flawless, something I don't often say and lines seem somewhat softer. My neck has taken a little bit longer to see results to be fair but there's an improvement that's for sure. In the shot below you can see the necklace lines have improved, yes I'm twisting my neck a bit more in the second one but you can see the difference can't you? My skin is more hydrated and radiant and I've got my fingers and toes crossed that it may improve a tiny bit more! 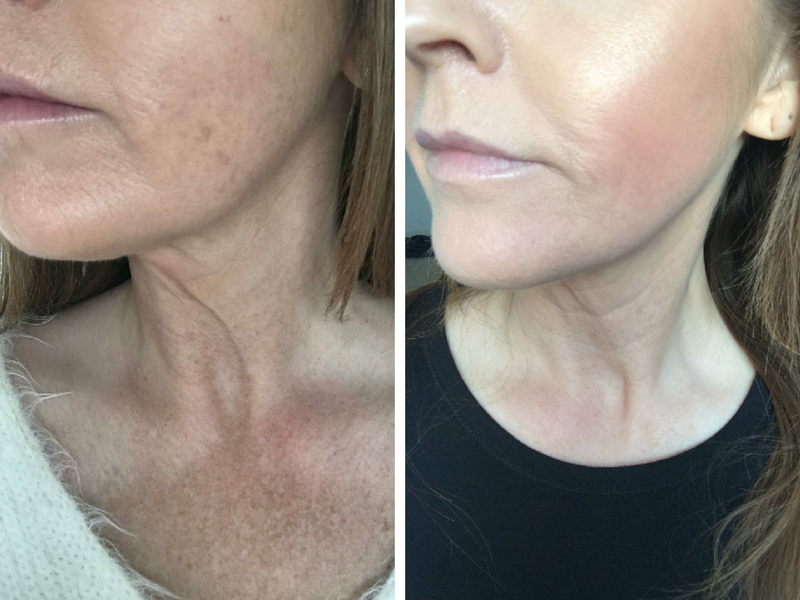 The results last about six months and if you love the results (and why wouldn't you) you should have a maintenance treatment a couple of times a year, and remember it helps to boost your skins own collagen production too so your skin will get better and better if you continue. 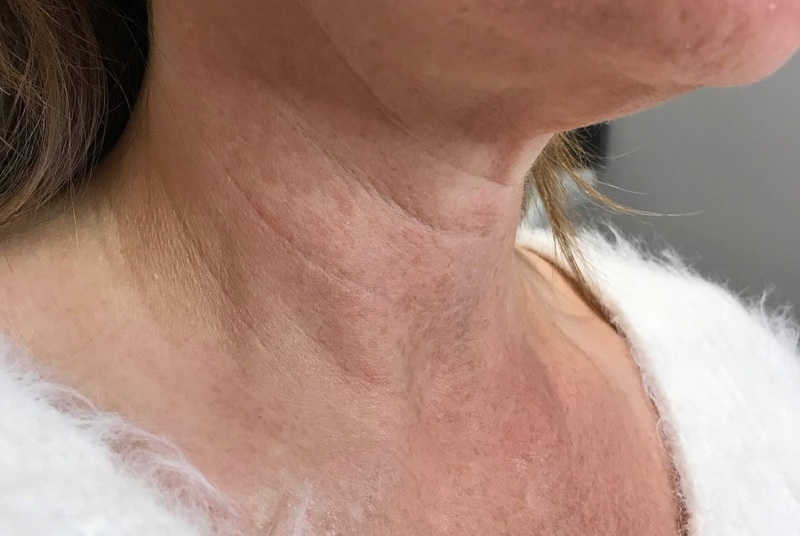 If you've got concerns about sagging, tone, dehydration etc and you don't want to go near dermal fillers then you might want to consider Profhilo as it offers a more subtle injectable solution. The team at Hampton Clinic are so approachable and are happy to answer any questions. Dr Hill offers free consultations to discuss any concerns you may have so why not book in? You'll find all the info you need here. I was offered this treatment in return for this review. All thoughts and opinions my own.